“Prompt service to get rid of rats in my basement and crawlspace. I can't thank you guys enough. 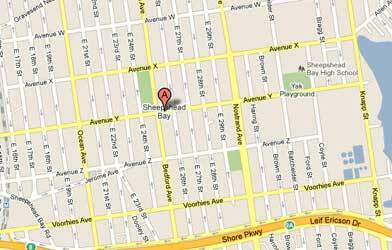 Ecology Exterminating has been working with the people of Sheepshead Bay for more than 35 years. Our expert exterminators are topnotch professionals who are completely up to date on the latest techniques. Ecology Exterminating accepts all major credit cards and is waiting to meet your needs. Call us today for fast, professional service. Overall, pest problems are relatively low when compared with the rest of Brooklyn. The number of homes that have rodent and cockroach problems are below average when compared to Brooklyn overall. Approximately 22% of the residences have ongoing problems with roaches and 13% are troubled with mice or rats. Bedbugs are in approximately 8% of the homes. These number for Sheepshead Bay are also below the average for New York City overall. Sheepshead Bay is a community in Brooklyn next to Coney Island. The population stands at around 125,000 with a vast majority having emigrated from the former Soviet Union. Over he past few years, the area has been on the upswing with new businesses and residences. There are various business and shopping areas with the primary ones being Emmons Avenue, Sheepshead Bay Road, Ocean Avenue, and Nostrand Avenue. 88% of the residents rate their homes as being from good to excellent. Exposure to cockroach allergens (found in droppings) is believed to be a major risk factor for asthma among children in inner-city homes. Mouse dropping allergies are as common as mold and dust allergies, but mouse droppings can also harbor dangerous diseases and trigger asthma in some people. Don't Let Pests Ruin Your Day!